SEEKING STARS FOR BLOOM TRUE LIVE! Two of my big dreams are lining up today in a really exciting way. For years, I’ve wanted to film a live Bloom True Workshop, so I could share this potent, in-person experience through an online course format with more people around the world. I’ve also dreampt of offering a totally FREE workshop to a group of people who might not otherwise have the opportunity to attend. On October 17 – 21, 2018, I’ll be teaching a full-length Bloom True Workshop, with all the bells and whistles, and I’m seeking eight wonderful participants to be the stars of the show. I’m seeking a diverse and dynamic group of people of all ages and abilities (first-time painters welcome) who are comfortable in front of a camera and willing to speak confidently in both group and one-on-one settings with the cameras rolling. Your name, location, and phone number. A recent picure of yourself. A two-minute (or less) video sharing why you’d like to be part of this experience, what special sauce you will add to the group, and what kind of backround you have with painting and/or creativity. Remember, no experience is necessary. We will review applications and be in touch with everyone who applied by September 3rd, 2018. Please note, all participants will need to be present and available in Portland, OR, starting October 17th, 2018 at 4pm through October 21st at 7pm. Travel and accommodations are not included, but all workshop instruction, supplies, nourishing food and drink (during filming hours), and thank you goodies will be provided. More detailed information will be sent to selected participants. Thanks so much for your interest in this new project. I can’t wait to share it with you later this year! 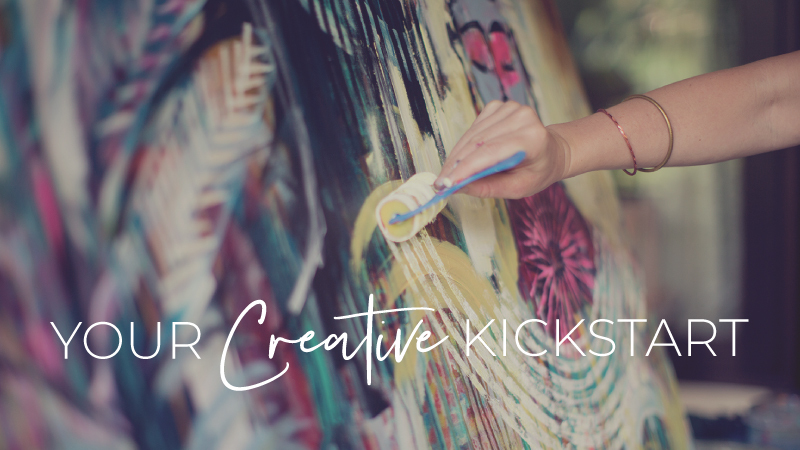 Don’t forget to sign up for News Art Love to be the first to hear about opportunities, my favorite creative tips, free gifts, and 10% off all online courses!